Today’s episode is based on something that my daughters said to me a week or two ago. Considering the event’s in Dallas this last week, the subject matter seems apropos. Last week my oldest daughter saw a firetruck as we were returning home after a soccer tournament. She asked a question about when I went firefighting. A little backstory is probably in order. My father-in-law Mick was a fire chief for a number of years and was a firefighter in his home town for decades. He trained new firefighters and also fought wildfires all over the western states during the summers. A few years ago Mick asked if I would like to get certified and help out during the summer. I swallowed hard and nervously accepted the offer. I helped my father-in-law fight fires for one summer and the way kids schedules and jobs work, it was the only summer I would fight wildfires with Mick. “Of course I do sweetheart, I missed you girls very much.” I responded. We talked about it for a little while, she asked, I answered, until finally she asked if I would ever do it again. “Probably not,” I told her, “I’m getting too old and I would miss you girls.” I elected not to tell her that most jobs don’t appreciate you taking three month breaks every summer. My job at the time allowed me to do it, but added that the next time would be my retirement, message received. We talked about her not wanting me to go and I found out that she had been afraid when I left. I told her that I had been afraid, too, but that Poppy needed the help. The conversation turned to Mick, or “Poppy” as my daughter calls him. We discussed that Poppy is a bona fide hero. That Poppy had helped people, saved their homes and even protected their lives. We said that despite the fact that he is a huge goofball, other firefighters really look up to him. I got to see it first-hand a couple of times. 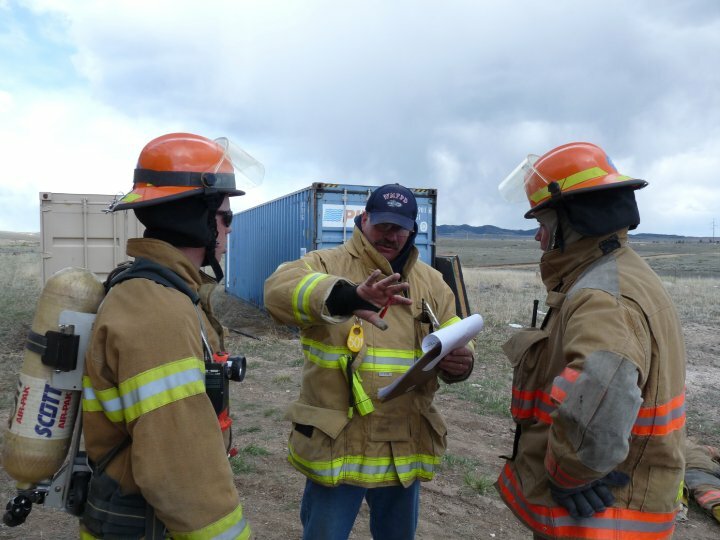 When Chief Poppy walks onto a scene, the other firefighters just sense that he knows what he’s talking about. On a side note, Poppy also uses this trust in the real world, which is why my kids believe that his mustache is an 'angry caterpillar' and God knows what else. 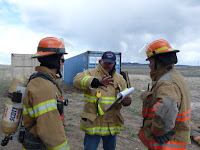 The conversation had me reflecting on the summer I spent firefighting. For a little while, I got to live out a childhood dream. Like anything else, there are things you don’t hear about it, like every meal on the site is two thousand calories or that the fire retardant pants you wear will take so much hair off your legs you wind up looking like an eight year old from the waist down. They don’t tell you about the smell your clothes take on after two straight weeks of limited outfit changes and no washing machine. All in all, it was great. I wasn’t a firefighter per se, I was more like a firefighting tourist. Frankly, it was as close enough to the real thing as I need. All of this seems scattered, I’m sure, but it really isn’t. Here’s the point, girls. There are tons of heroes in this world. Your mom is a hero for keeping our house together despite our crazy schedule. Your teachers are heroes for the time and patience they show as they try to jump start the grey matter between your ears. But there is another kind of hero, too. Those are the bona fide kind. These are the people who put themselves in harm’s way to make your lives better or safer. 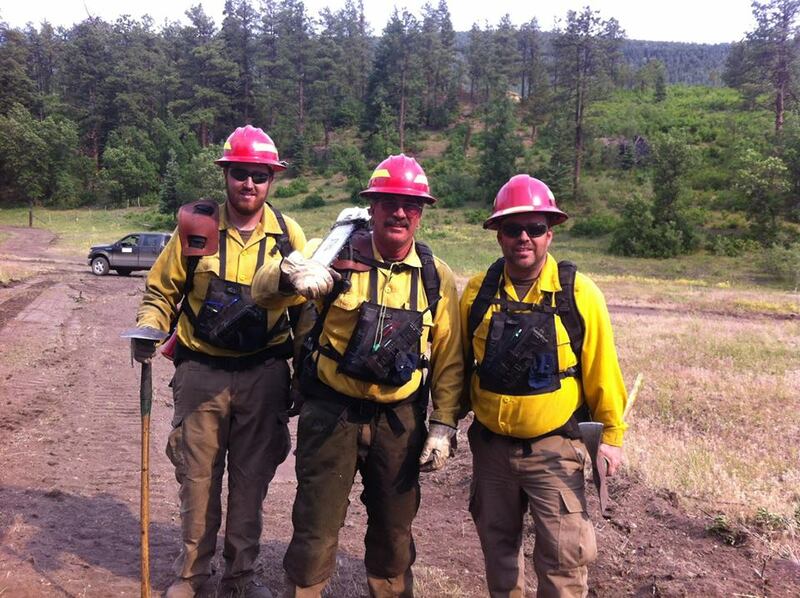 I got to work with some of these types of heroes for a summer. They enjoy what they do, sure, they talk about it with a pride that most people dream of having in their jobs. They laugh in a way I’ve never seen people laugh while they work. It’s hard to put a finger on but I suppose if I were to try, I’d say it has something to do with knowing your job makes it very easy to sleep at night. The double whammy of knowing that you’re helping people and that you have nothing left in the tank after a work day. It’s enviable to love your job the way they do, but it entails a lot. It’s physically demanding, it’s mentally draining, its long hours, it’s being away from your family and it’s doing all of it while working a job that has its fair share of peril. Firemen, police men, EMTs, soldiers, and plenty of others give gifts to you that it is impossible to repay. The point is this, “just don’t forget it”. When you see a firefighter or a police man, say ‘thank you’ or at least give them a smile, I bet they could use it.